In this paper, the development of word order in written D anish is investigated with special attention to the positioning of the verb. I t is a well-documented fact that the VO structure in Modern D anish with the governing verb preceding its actants was also the dominant word order in the oldest sources of written D anish (cf. D iderichsen 1941, Heltoft 2005). Around 1300, however, new OV types emerge and the use of OV word order increases until it stabilizes and decreases in the 16th century. Because of the extensive immigration from the northern German regions between 1100 and 1700, it has been suggested that these word order changes are due to German influence (e.g. Braunmüller 2004). In order to reconsider this statement, the distribution of different OV types in a specific text from the E arly Modern D anish period – the D anish Code from 1683 – is compared to the general development of D anish word order from E arly Middle D anish (c. 1100 – c. 1350) to E arly Modern D anish (c. 1500 – c. 1700). The statistical analysis of the D anish Code reveals an OV pattern that differs from both earlier stages of written D anish and contemporary German texts. Comparing the OV types found in the D anish Code with the memoirs by Leonora Christina and the development in S wedish (cf. 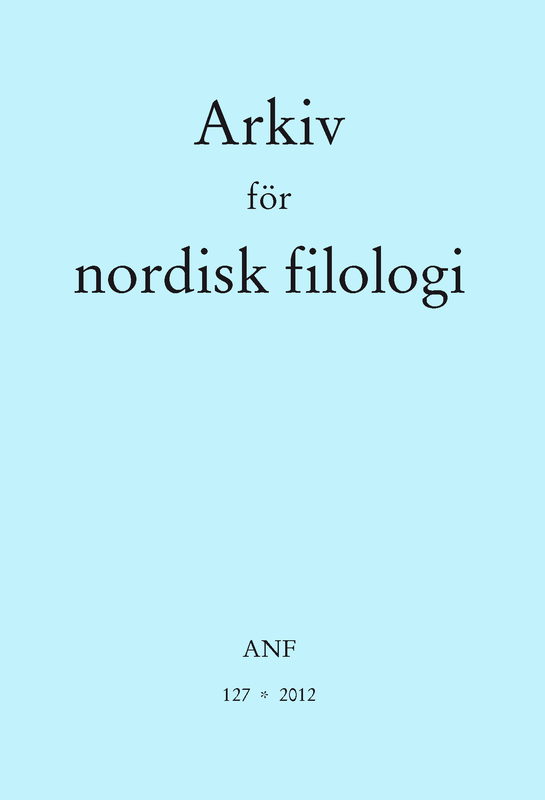 Magnusson Petzell 2011), I attribute the high OV frequency in some E arly Modern D anish texts to intentional stylistic variation as a Scandinavian phenomenon.